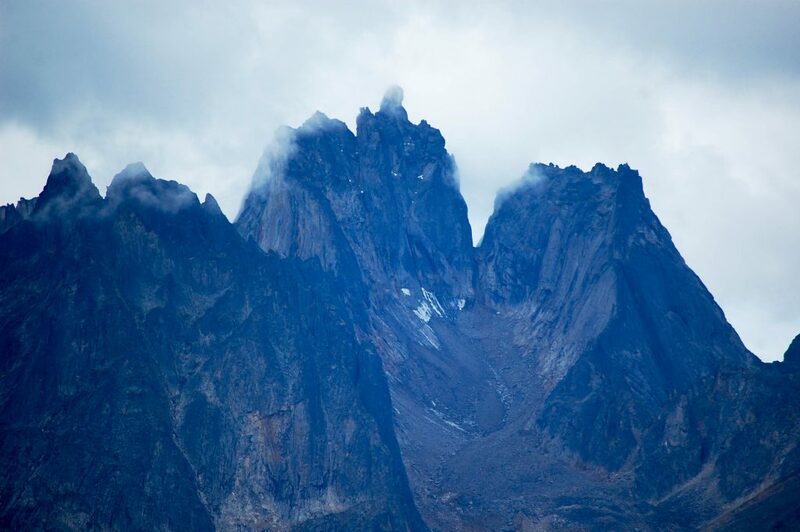 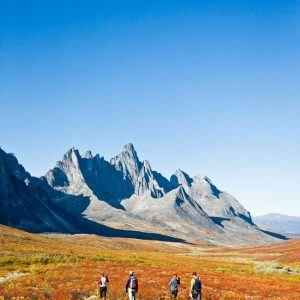 Tombstone Territorial Park protects over 2,200 square kilometres of rugged peaks, tundra, and clear mountain rivers at the heart of the Ogilvie Mountains. 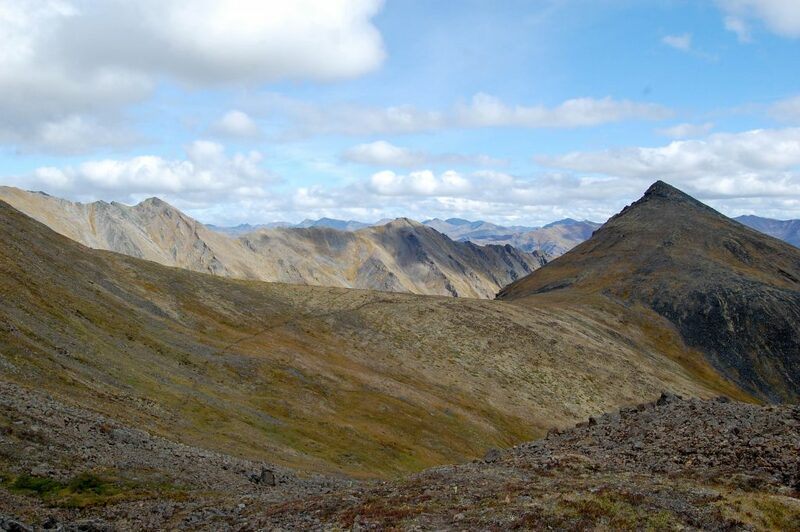 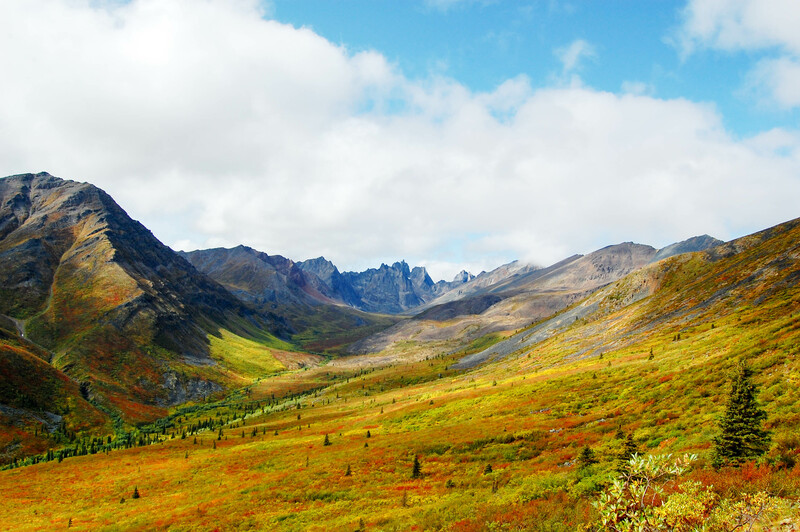 The park straddles the the continental divide and the Dempster highway, in the homeland of the Tr’ondek Hwech’in. 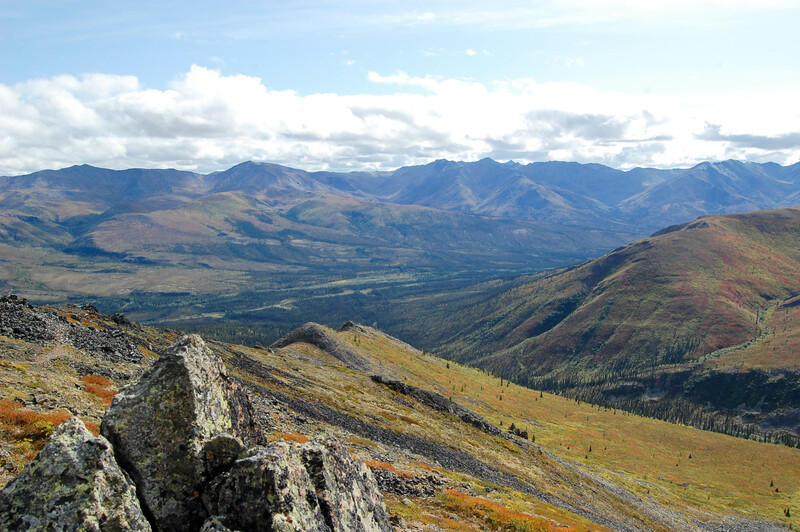 The mountains are habitat for one of the largest intact caribou herds, as well as bears, Dall sheep, moose, wolves, falcons, and eagles. 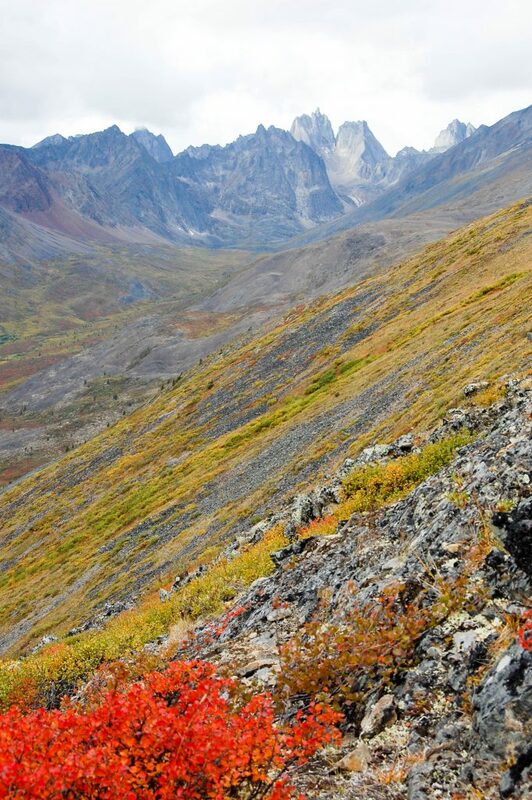 It’s also a photographer’s paradise, with an profusion of colourful and delicate arctic plants and a backdrop of the dark and dramatic syenite peaks that give the park its name. 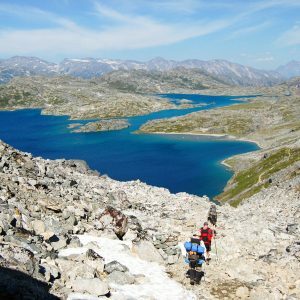 We’ll spend six days backpacking through these rugged mountains, camping at alpine lakes with stunning views. 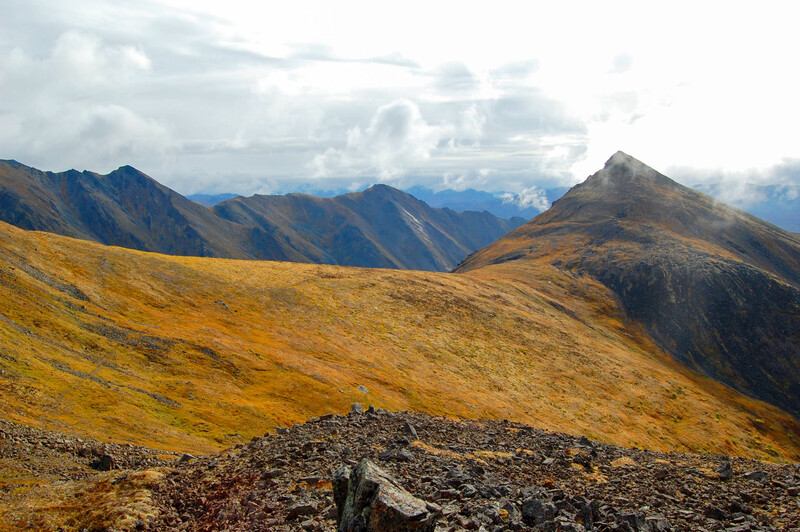 There are plenty of opportunities for day hikes, depending on the group’s interests and abilities. 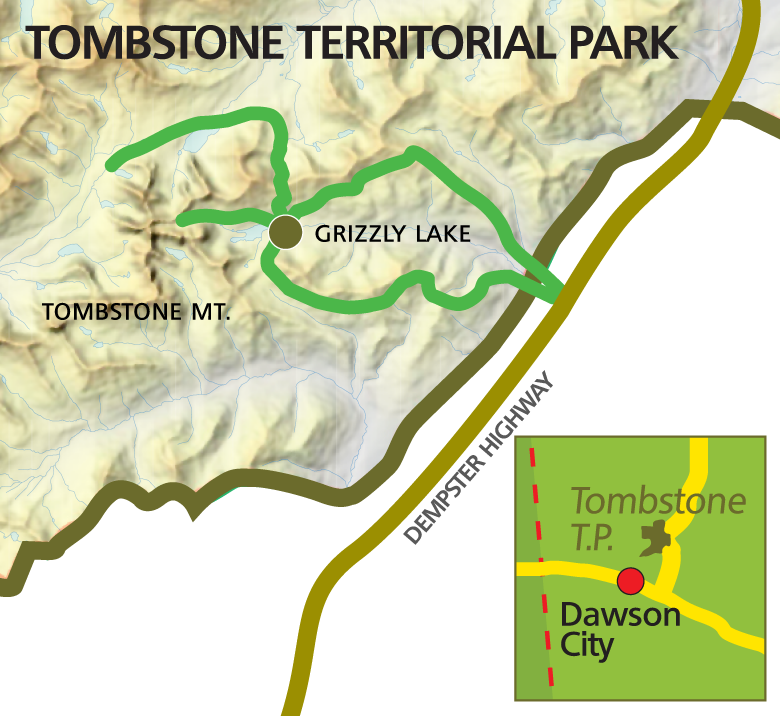 Our tour caps off with a day in fun-filled and historic Dawson City.